South Adelaide are taking Easter football into their country zone, as they prepare to take on the Adelaide Football Club in Encounter Bay on Easter Sunday, April 16. Garry Hocking's charges could face off against Adelaide unchanged, with only Richard Newell and Connor Fairlie making their way onto an extended bench. If selected, Fairlie, recruited from Goodwood Saints, would make his League debut. 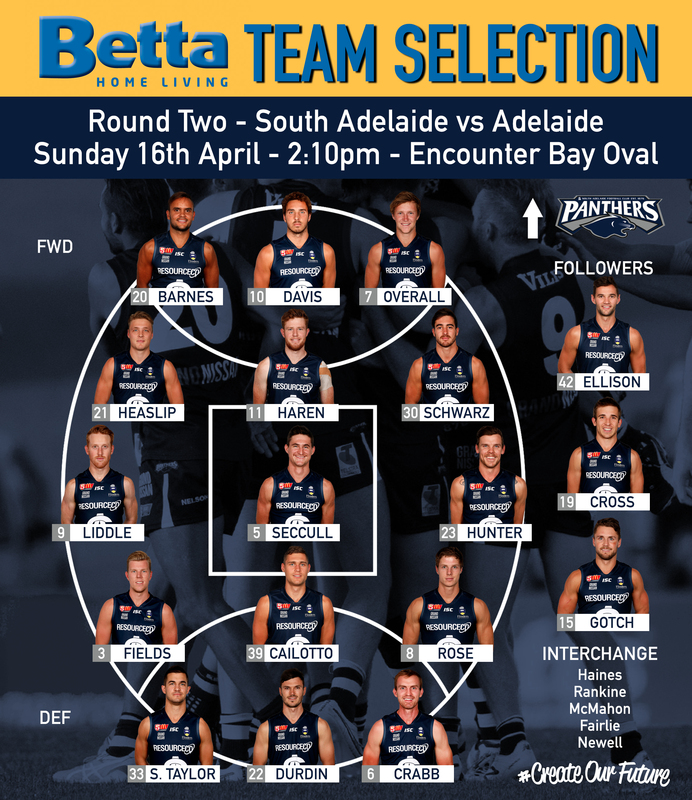 Check out the full teams below - brought to you by Hilton's Betta Home Living - McLaren Vale. There will be no Reserves game prior to the League match, but the Great Southern Football League and Southern Football League U15 Academies will be playing the curtain raiser from 12:10pm. Meanwhile, the Panthers Under 18s head to Hahndorf on Thursday night (April 13) to face Sturt from 7:20pm, with the Under 16s preceding the match with their Round 4 clash against the Double Blues from 5:00pm.